It's a little like being cute and rich. This bacon-y take on potato salad is almost too good to be true. This one's for you potato salad lovers! Cook potatoes in boiling water in saucepan 15 min. or just until tender; drain. Prepare using halved baby red potatoes. The potatoes will firm up once they cool. For this reason, the dressing is added to the potatoes while they are still warm, allowing it to seep into the potatoes. 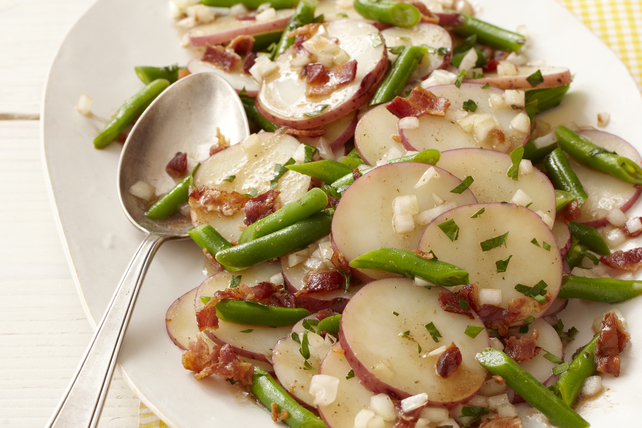 Though commonly served warm, this potato salad is also delicious served chilled.